Kraissl 60E(S)RD Series pumpsets are positive displacement, internal gear type, with precision clearances for various types of oil service.The main rotor and shaft are integral to prevent misalignment due to the deflection of a rotor on a separate shaft. Standard pumps are furnished with heavy duty bronze journal bearings and a special return seal stuffing box. 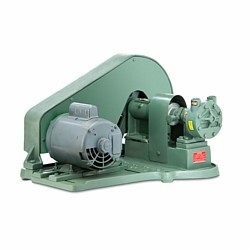 This permits interchange ofsuction and discharge ports by reversing rotation of pump and changing oil return. It reduces fluid pressure on the stuffing box to suction pressure and thus minimizes leakage while lubricating the pump shaft. Cast iron pump heads are manufactured with manually adjustable, bronze packing glands.Standard shaft packing is graphited synthetic fiber. An optional spring-loaded packing gland can be provided which automatically adjusts the pump shaft packing. Optional Teflon packing in lieu of standard can also be provided. The combination of spring-loaded, Teflon packing can be an effective way to assure pump shaft sealing. The reduction belt can be easily rearranged to increase or decrease oil supply simply by changing belt and pulleys only, often without changing pumps. Pulleys for various reduced speeds from nominal 1800 rpm motors are available. The V-belt drive is carried on a special ball bearing transmission unit and is connected to the pump head by a flexible coupling. This prevents side deflection of pump shaft. The ball bearing unit assures that the bearing stay in fixed alignment. Lubricant is supplied directly from a central reservoir and is retained by the grease seals of the ball bearings. 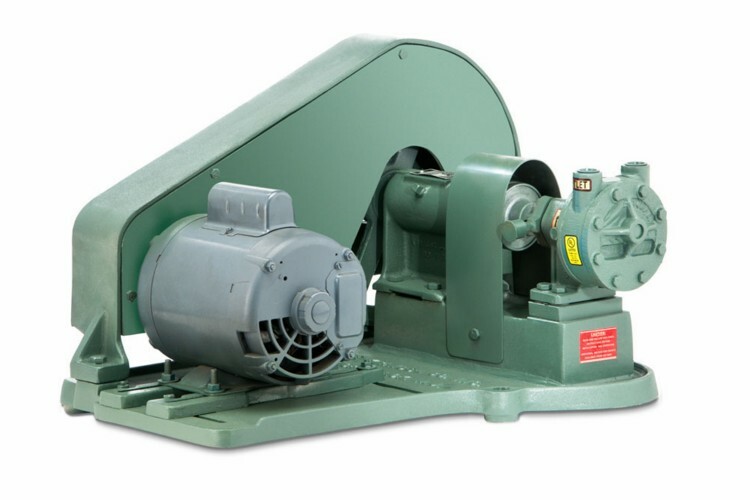 Kraissl Model 60 Series reduction drive pumpsets are designed to meet sever conditions of continuous duty when handling fuel oils for direct burner supply, or as booster pumps for pump type burners. These pumps are used when reduced rotation speeds are required. To avoid cavitation on heavy oil, pumps should never be run at higher speeds than the liquid viscosity will permit. Pumps will also wear less at reduced speeds when handling liquids of limited lubricating value such as No. 2 fuel oil. Kraissl 60 series E(S)RD pumpsets are mounted on solid cast bed plates with drip retention bead. This avoids misalignment when foundation bolts and motor are tightened. Model 60-ESRD assemblies are applicable for motors up to and including frame No. 184. Belt tension can be regulated by slotted adjustment rails. For larger motors, an adjustable sliding motor is supplied on 60-ESRD assemblies. Accompanying capacity/pressure charts indicate appropriate pump shaft speeds with oils of different viscosities together with necessary horsepower. Kraissl pumps are proven performers in daily operation with a wide range of burners. These pumps also have been used in applications for handling fluids other than fuel oil. Suggestions for the selection of pipeline sizes for No. 6 oil are based on appropriate velocities of 30 feet per minute for suction lines and 100 feet per minute for discharge lines. The effect of reduction in pump capacity with increasing suction lift is graphically illustrated in the accompanying charts. This is an important consideration, even with these pumps of such high suction characteristics. Selection of the proper speed is necessary for each range of fluid viscosities. The graphs presented meet most requirements. Capacity versus pressure data are presented, and the suggested motor horsepower sizes are shown on each curve at 50 and 100 psig working pressure. Optional OSHA belt guard backs and OSHA coupling guards can be provided if required. Our model 72 series simplex and duplex strainers are designed to protect these pumps, and we recommend that they be specified. 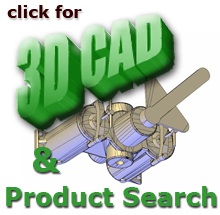 Internal gear design provides high suction lift characteristics. Hardened idler for minimum wear.Integral bearing and idler assembly. Adjustable stuffing box fitted with return seal and soft packing keeps shaft lubricated and chance of leakage to a minimum. Interchangeable return seal design allows change of rotation in the field. Flexible coupling isolates pump bearings from pulley loads and allows fast field replacement. Rugged ball bearing unit ensures bearing alignment and large grease reservoir with provision for re-lubrication. Minimizes maintenance. Bearing unit support cast integral with bed plate reduces vulnerability to distortion. Adjustable V-Belt drive absorbs shock loads and provides quiet operation with low replacement cost. Varied pulley combinations for proper viscosity-speed relationship. Cast metal belt guard protects personnel from exposed moving parts and eliminates chance of bending, denting or sharp edges. Cast metal bed plate with drip collecting bead around edge ensures rigid support and minimum chance of bedplate bending or distortion. Pumps are individually tested in accordance with Underwriters Laboratories requirements. Approved by the Board of Standards and Appeals for use in NYC under Cal. No. 517-53-SA.